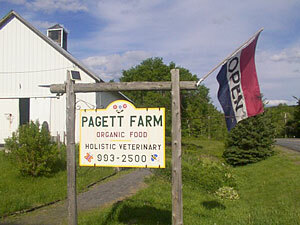 Pagett Farm is a beautiful 63-acre organic farm and nature sanctuary in scenic Maine. At our Tent and Breakfast Farm Stay, guests stay in platform tents and yurts furnished with queen-sized beds, handmade quilts and braided rugs, propane fireplaces and many amenities for a unique luxury camping experience. A large organic farm breakfast is included in the stay. Help with farm chores if you like, or simply soak in the ambiance of our farm and abundant wildlife. There are trails in our woods for hiking, snowshoeing and cross-country skiing and also in nearby parks and nature preserves. We are within 3 miles of both Lake St. George State Park, and Sheepscot Lake. Both are crystal clear with great kayaking, canoeing, fishing, swimming and boating opportunities. The coast is 30 minutes away, and we are only 1.5 hours from renowned Acadia National Park. Pagett Farm is perfect for kids, for folks looking to experience farm life and delicious farm fare, for nature lovers and birdwatchers, and for special occasions like honeymoons and anniversaries. Come enjoy a rich feast for all your senses. Hear the sounds of crowing roosters mingling with melodic birds and harmonious frogs. Breathe in the aroma of our forest and balsam furs. 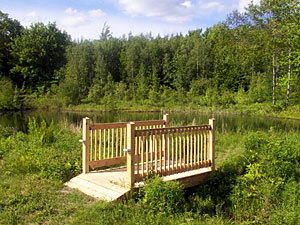 Drink in the scenery of our wildflowers, butterflies, beautiful Maine landscape and star-filled nights…. © 2019 Pagett Farm. All rights reserved.